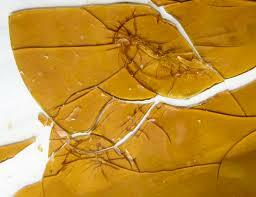 This delicious, pure OG Kush shatter is made with the best high-grade flowers. Derived from an Indica-dominant blend that's tasty, strong, and savory without being too overwhelming and is commonly described as sativa-like in its euphoric effects that combat stress and anxiety. Our OG Kush shatter comes on strong and promises long-lasting effects, offering a deep physical calm with a little mental fog. Recommended for the relief of insomnia, restlessness, stress, migraines, depression, and as an appetite stimulant.